Cereal again!? Come on kids, let's do something different. They just had eggs yesterday ... hmmmm, french toast it is! I had some ripe bananas to use up so I figured I would mix that in the batter. Since I was trying something new I decided that I would replace the egg with banana and really surprise the kids. Okay, so they weren't really surprised or excited about it but I sure was. This recipe was so much fun! 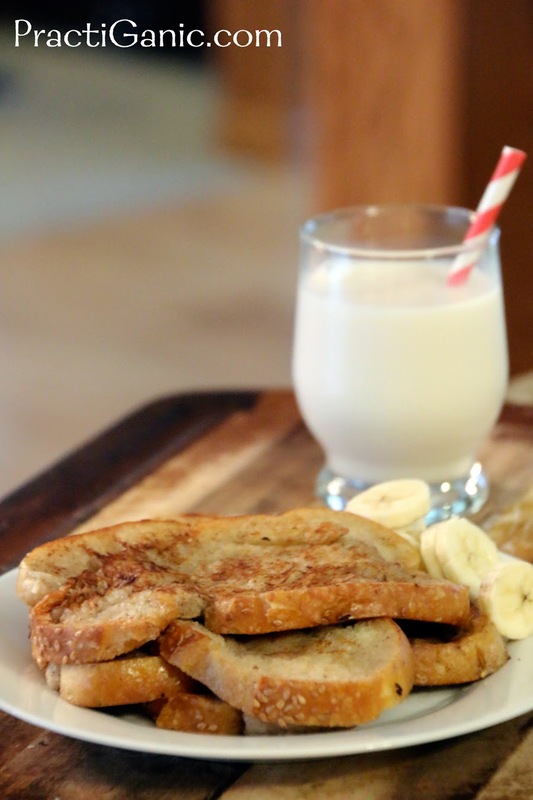 You get the little hint of bananas on the toast which made the kids inhale them. I made 5 pieces so I thought there would be leftovers for me. Again, I was the one surprised to see them eat everything on their plates. A winning breakfast! Puree banana, milk, cinnamon and vanilla. Soak your bread until all the liquid is gone. Heat a little coconut oil in a pan. Cook each side of your toast for about 2-4 minutes. 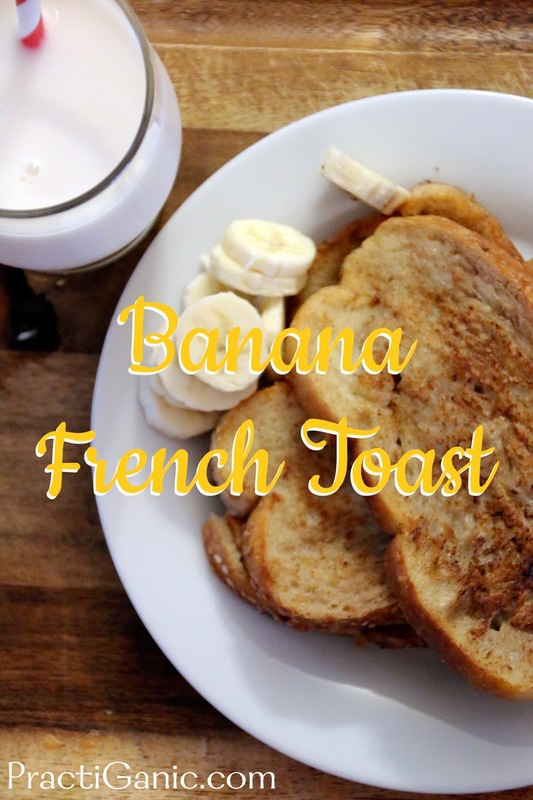 It tastes great with a little maple syrup but the flavor is great and the bread stays moist, you don't even need it!